ps...Happy Easter...I hope you find your basket filled to the brim with art supplies! Will be sure to check this out... hoping my basket is also filled with chocolate, just a little right?! Happy Easter to you and Rick. Fabulous! Off to Ranger I go. 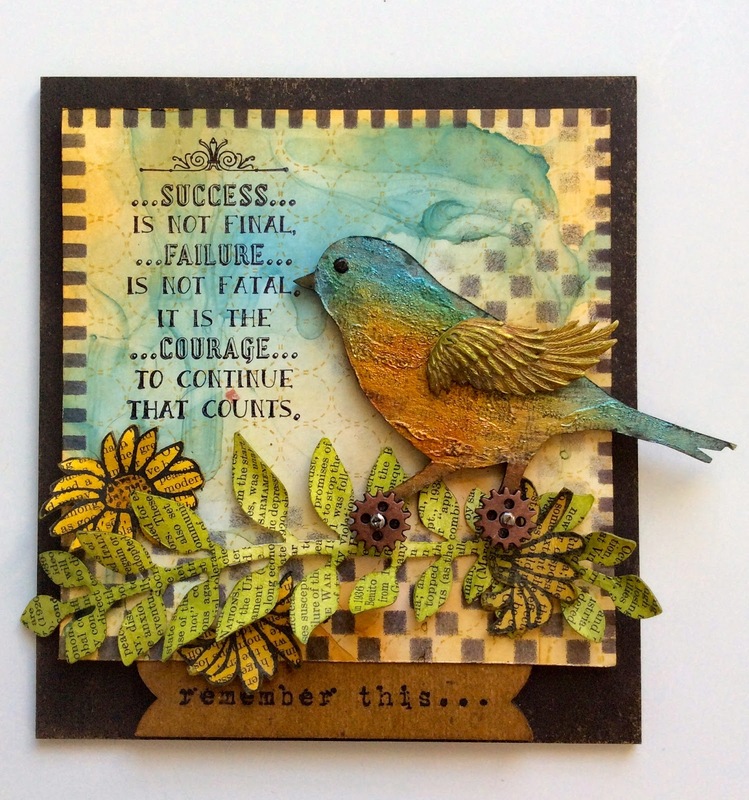 Lovely little gem (great texture on the bird!). I will head over there, but want to wish you a Happy Easter. Cheers! This is so pretty! Thank you for sharing your talents with us. Happy Easter to you and Rick! Love the artwork, Wendy! I just bought the SiSi Daisy, so I will have to play with it today. Have a Happy Easter! This is so beautiful Wendy! I need to catch up on your posts. I am so sorry to be absent so much. Have a wonderful Easter!!!! Just....W O W and Happy Easter!! Beautiful page! Headin' over right now to check it out!